UNIONS have promised to fight the Abbott government's delays to promised superannuation increases for workers to lock in the rises through direct contract negotiations. The government this week passed the mining tax repeal, and with it, delays to promised compulsory super increases to 12% for workers until at least 2025. Under the government's deal with the Palmer United Party, it took a $6.5 billion hit to the budget by retaining mining tax spending measures including the Schoolkids Bonus. The move has been roundly criticised by both Labor and The Greens, and the superannuation industry itself, despite Treasurer Joe Hockey's arguments it would boost take-home pay for workers. But the Australian Council of Trade Unions said it would fight the extra savings the government found in the form of delaying Labor's promised super increases. ACTU secretary Dave Oliver (pictured) told reporters on Friday the superannuation rises could instead be included in enterprise bargaining agreements for the four million workers covered by the agreements. He said the unions would look to use the combined negotiating power they held to ensure those workers would still be delivered 12% super contributions by 2019. Analysis by Industry Super Australia of the changes revealed this week they would have a disproportionate effect on rural and regional workers as well. Figures released by the industry group showed due to lower incomes across regional areas would hit rural workers at retirement. The data showed workers now aged between 30 and 50 years old would lose between $10,000 and $30,000 by retirement. But that situation was further exacerbated by the 2017 removal of the government's low income super contribution, delayed in the deal until after the next election. That move, the industry argued would see three million employees nationally lose about $500 a year from 2017; two million of whom were women. 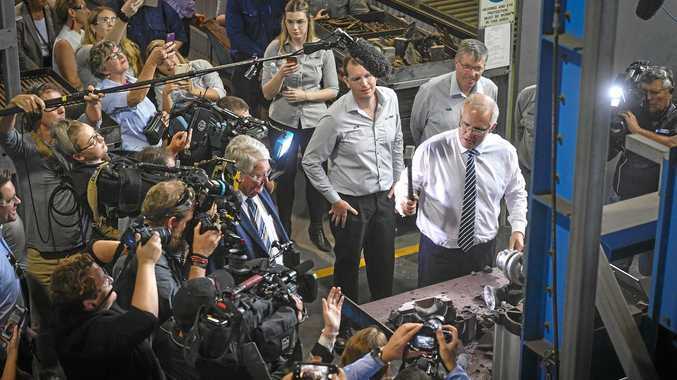 But Mr Hockey earlier this week disputed the industry's figures, arguing they were based on too many economic assumptions, despite his claims workers would be paid more as a result being actually up to individual employers.